Do you have a chronic disease or just want to improve your general health and well-being? Do you need an experienced exercise physiologist and health practitioner that will work with you to you reach your desired health goals? We can help you develop the right exercise program for your health condition while considering any past or present injuries or chronic musculoskeletal conditions, provide expert instruction and support to ensure you achieve your goals. Contact us now and we can discuss and consider the best exercise options for you and your health. Ian and Maryanne are both accredited exercise physiologists (AEP) with over 15-20 years experience previously working in medical and allied health clinics in Melbourne and now in the Noosa area. AEPs are at least 4-year-university qualified allied health professionals recognised by Medicare and most private health funds for rebates for their services. 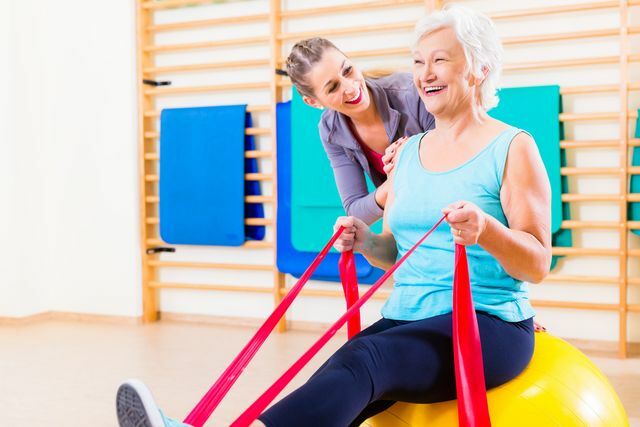 As AEPs we specialise in the delivery of exercise testing and prescription, including lifestyle modification, to prevent, rehabilitate and manage individuals with chronic and complex diseases, injury and disability. Ian and Maryanne are both registered with Medicare Australia so clients can receive rebates for our services, on referral from their general practitioner.